Iran is vowing to confront any aircraft that enters its airspace, one day after the Pentagon said Iranian warplanes fired on an unarmed U.S. drone over international waters in the Persian Gulf. Iranian Revolutionary Guard General Massoud Jazayeri did not explicitly confirm the incident in his comments to the FARS news agency on Friday. But he said Iran would "give a decisive response to any aerial, ground or sea aggression." Pentagon spokesman George Little said Thursday the unmanned Predator was outside Iranian waters on a routine classified surveillance mission November 1 when an Iranian military plane fired at, and missed, the drone. Little says the United States informed Iran that it is prepared to safeguard its forces and will continue surveillance operations over the Persian Gulf in line with the U.S. commitment to security in the region. He said the U.S. is not ruling out either a military or diplomatic response. Though the U.S. routinely conducts surveillance missions over to Iran to check on nuclear facilities and other sites, the Pentagon says this is the first time Iran has fired on one of its drones. 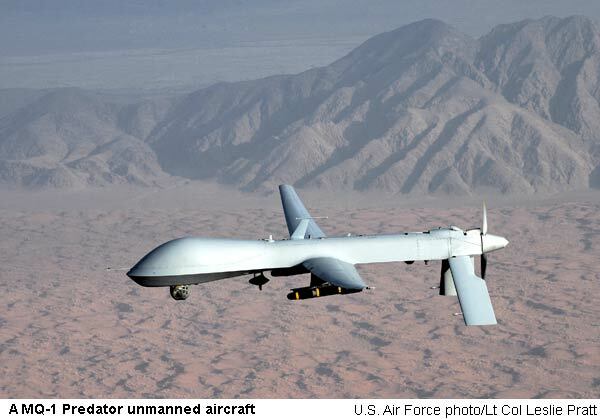 Iran says it shot down an American unmanned aerial vehicle last year over Iranian territory. U.S. officials say that aircraft landed unintentionally. The Pentagon usually does not comment on classified missions. But Little says the report of the attack on the drone was leaked.